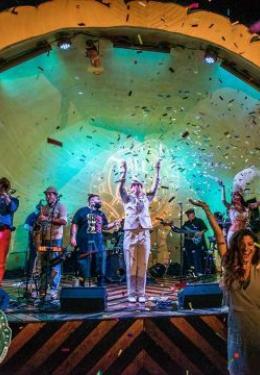 A live music venue, in the heart of Calle Ocho “Little Havana” neighborhood of Miami. The bar is historic landmark, being established back in 1935, over the years, the bar has played host to many famous acts including Billie Holiday, Chet Baker and Count Basie. The bar remains a hot spot for live music since being restored to its original state in 2014. Live music everyday of the week, featuring two spaces, inside and outside on our garden patio area, ideal for large groups. Beyond being a world-famous nightlife destination, Ball & Chain is also a fabulous Cuban restaurant! Come sample our delicious offerings, and of course, we also have an extensive cocktail menu to quench your thirst, from our bar staffed with the best mixologists in Miami.